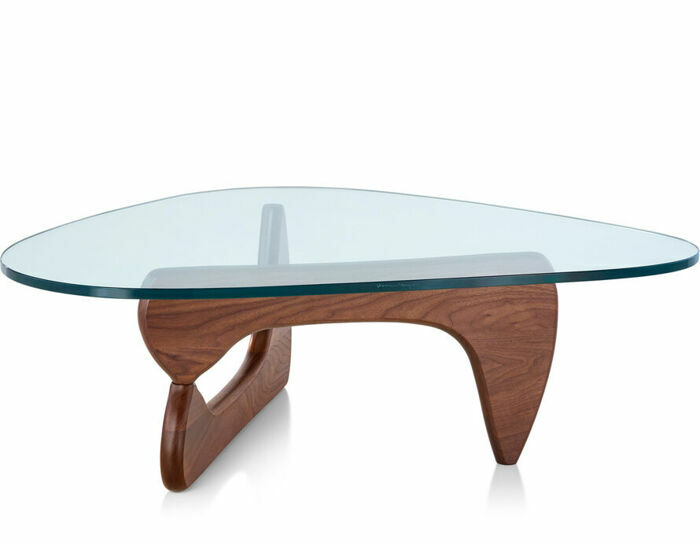 The Noguchi coffee table joins a curved, solid wood base with a freeform glass top. 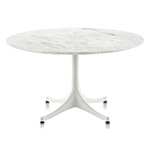 The ethereal result does not diminish the practical design: a sturdy and durable table. 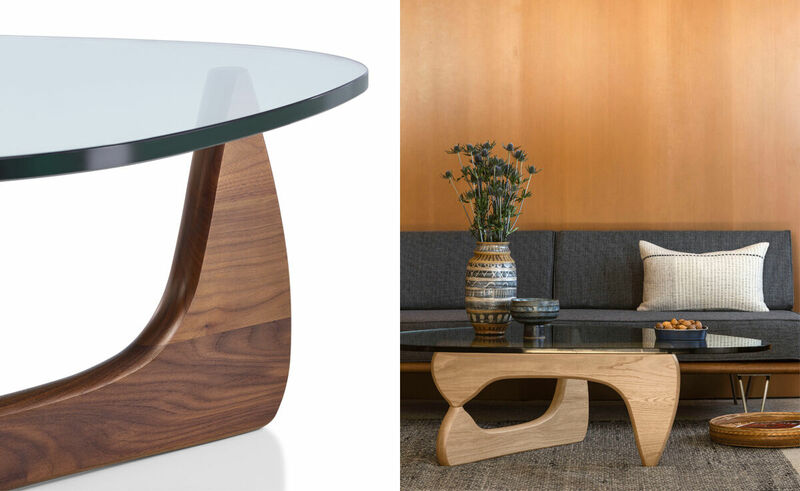 This balance of sculptural form and everyday function has made the Noguchi table an understated and beautiful element in homes and offices since its introduction in 1948. Unwilling and unable to be pigeonholed, Noguchi created sculptures using any medium he could get his hands on: stone, metal, wood, clay, bone, paper, or a mixture of any or all--carving, casting, cutting, pounding, chiseling, or dynamiting away as each form took shape. "To limit yourself to a particular style may make you an expert of that particular viewpoint or school, but I do not wish to belong to any school," he said. "I am always learning, always discovering." 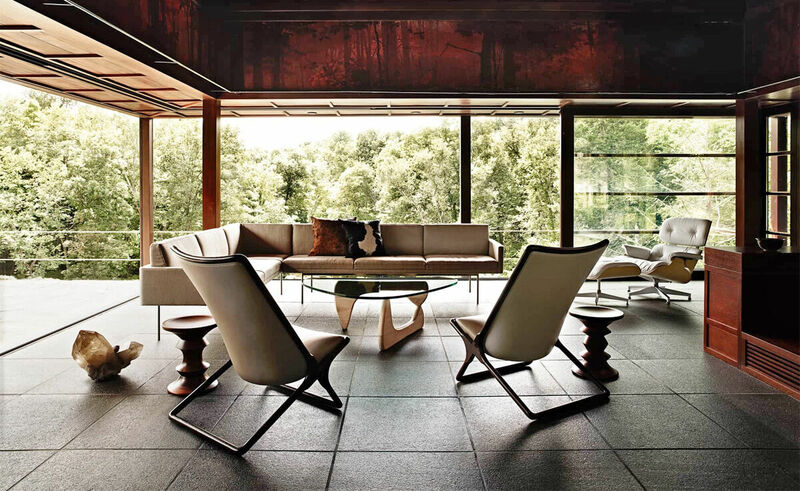 Noguchi believed the sculptor's task was to shape space, to give it order and meaning, and that art should "disappear," or be as one with its surroundings. 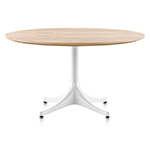 His relationship with Herman Miller® came about when one of his designs was used to illustrate an article written by George Nelson called "How to Make a Table." 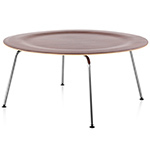 It became his famous "coffee table," and it's as appealing today as it was then. For someone who was told by his first art teacher at age 15 that he'd "never be a sculptor," he left an amazing legacy. 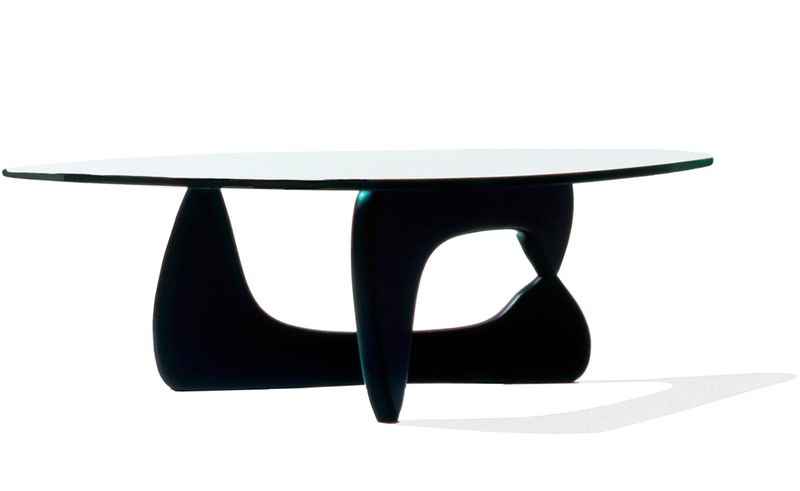 To assure authenticity, the signature of Isamu Noguchi discreetly appears on the edge of the top and on a medallion on the underside of the base; under the medallion, his initials are stamped into the base. 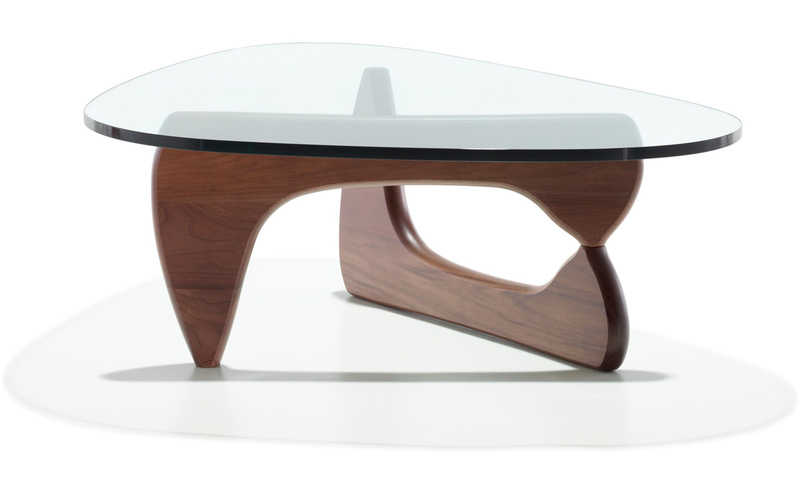 Noguchi's coffee table consists of three pieces. 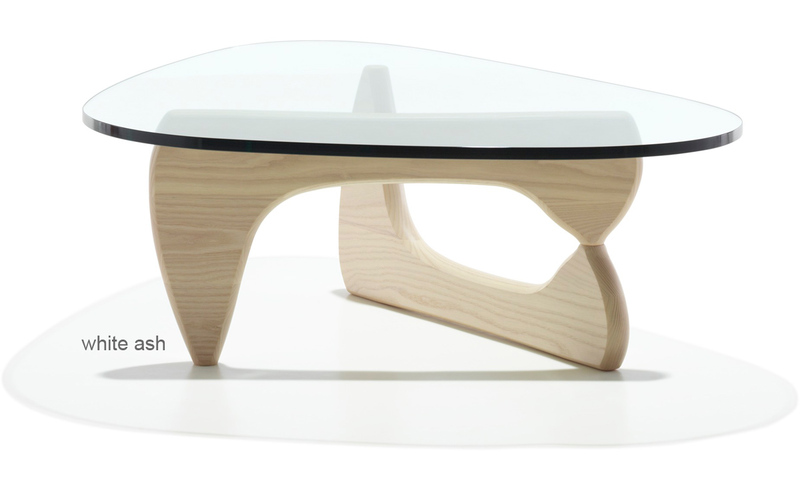 A freeform, 3/4" plate-glass top resting on two curved, solid wood legs that interlock to form a tripod for self-stabilizing support. 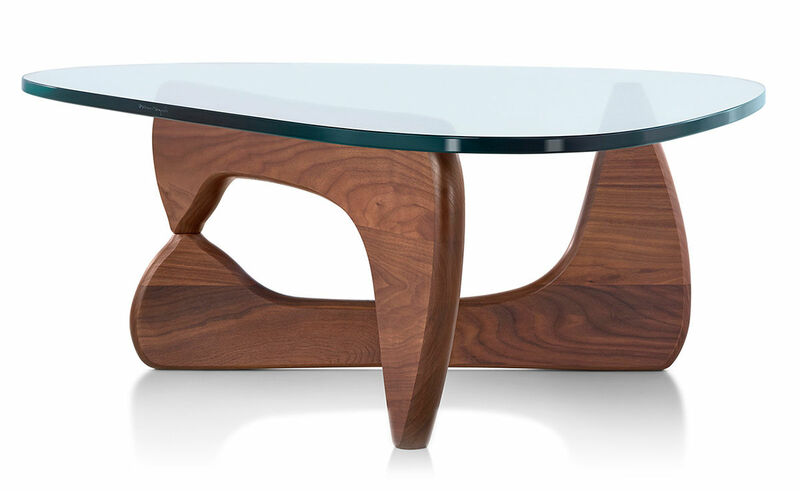 The solid wood base of the table has a lacquered finish and available in Noguchi black, walnut, natural cherry, and white ash. 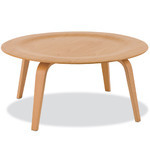 The ash base is finished with a process that arrests the wood in its natural, "freshly cut" state. 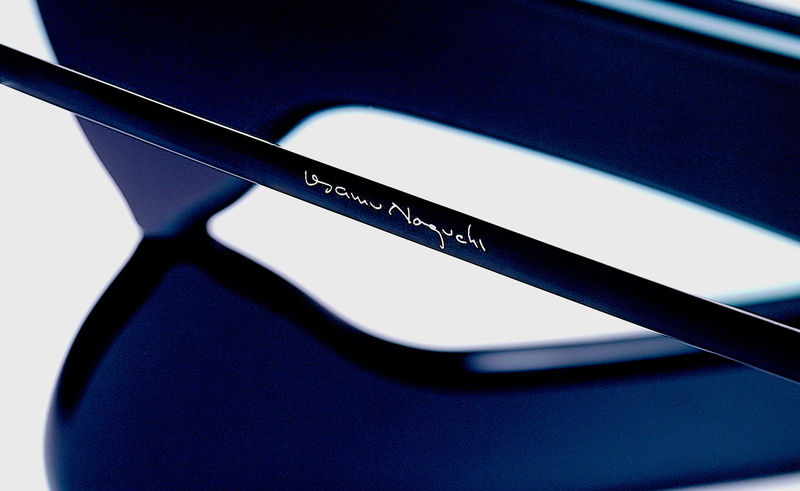 The resulting color is a creamy white that will not turn yellow or golden over time. 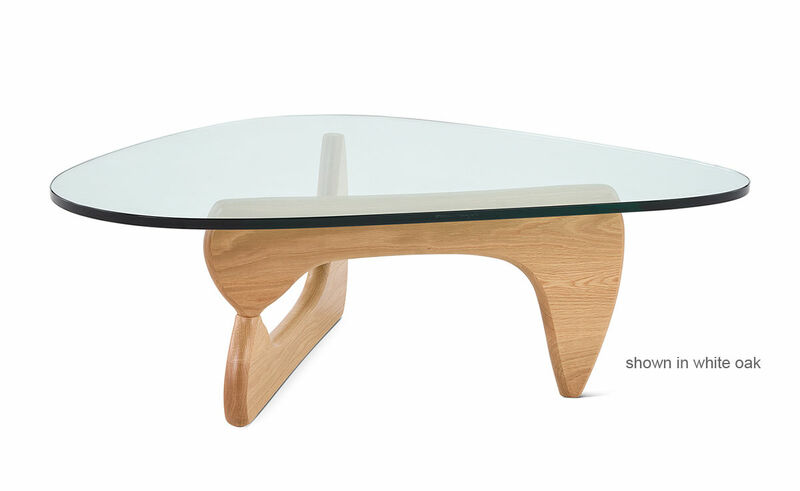 The table with white ash base is a beautiful complement to the Eames lounge chair and ottoman with white ash veneer and pearl MCL Leather. $1,895.00 + free threshold delivery in the continental U.S.
bk, more than a month ago. 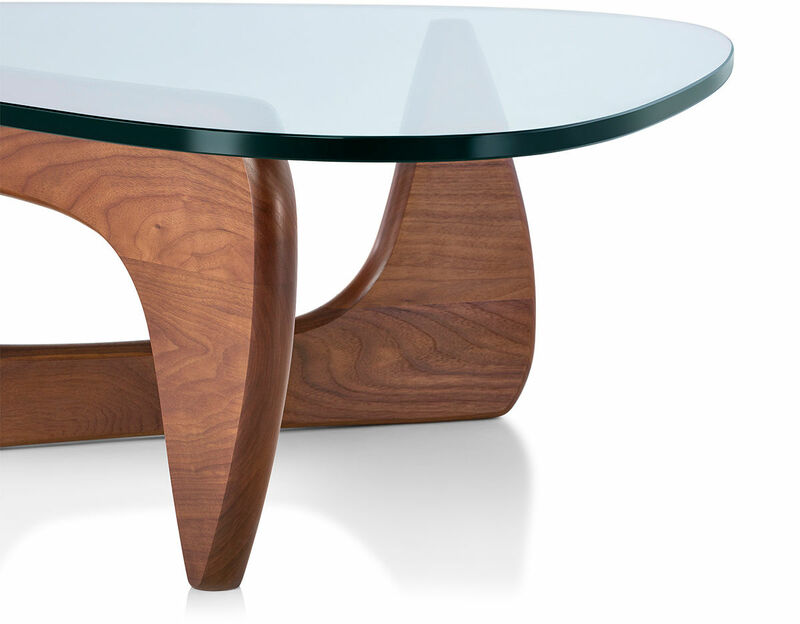 if you like noguchi, you will love this! pdxjohn, more than a month ago. 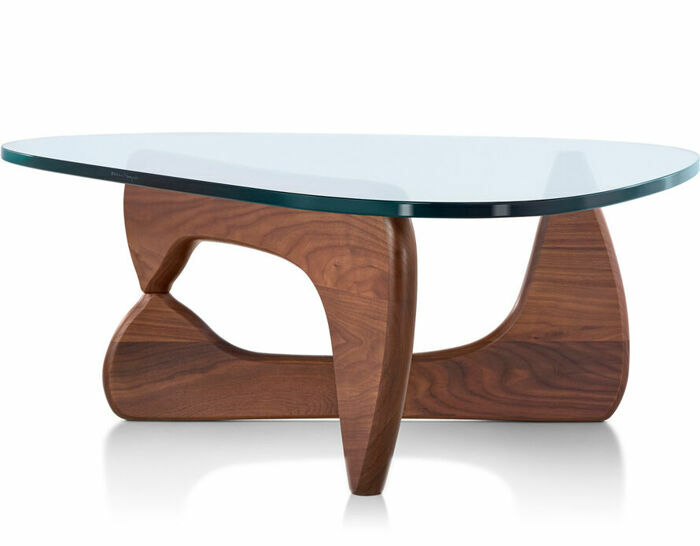 from the cooperative spirit in ordering of a special noguchi coffee table (i wish i could remember the gentleman's name) to the professional delivery and assembly by clive & gabriel, this is a first class operation. 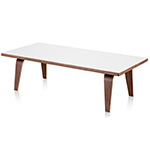 i was kept informed of the sale date, order status and the delivery took place the same day the table arrived at their warehouse.